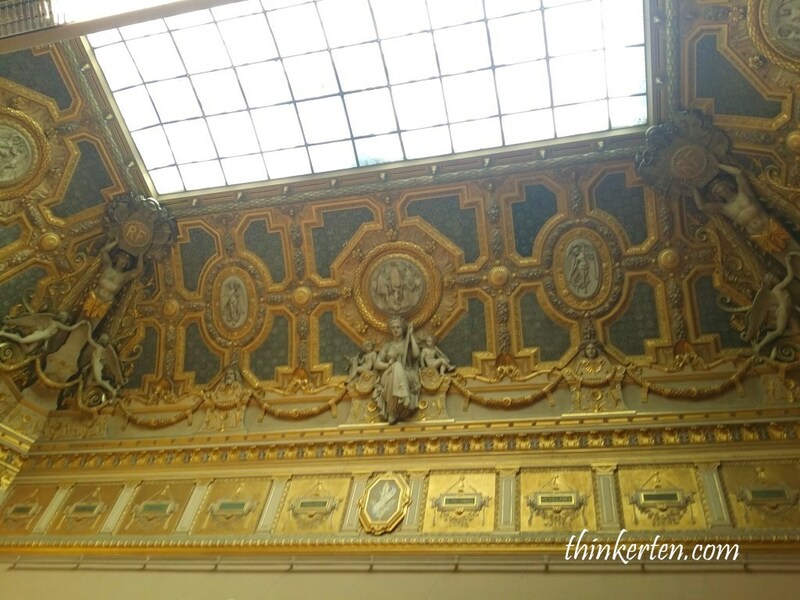 The Louvre in Paris : Top 15 things to do in the largest Museum in the world! 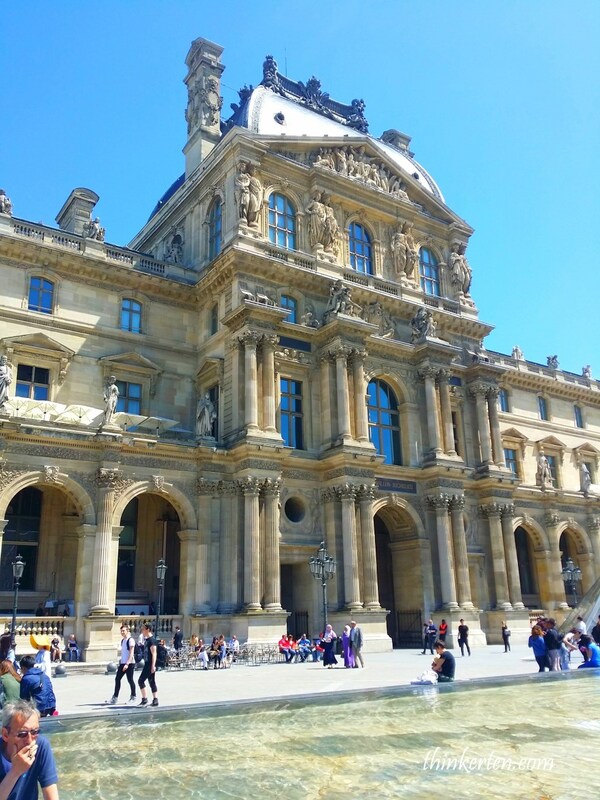 The Lourve is the world’s largest museum and a must visit when in Paris. The museum is so huge that it is impossible to finish looking at the 380,000 masterpieces in a day. Well, The Lourve do have the weekly entrance pass for museum lovers who would like to come back the following day to cover more slowly. 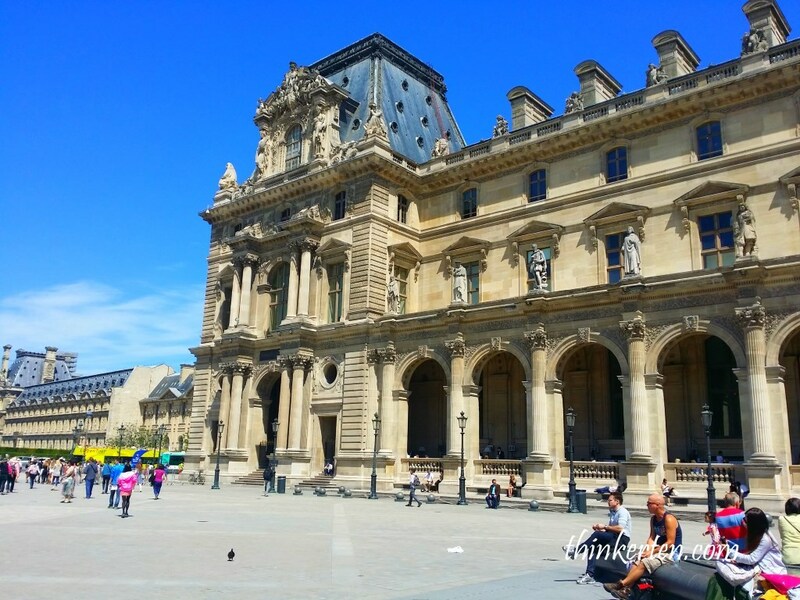 If you only have a day to explore and need to rush so that you can have more time to do your luxury shopping in Paris 🙂 Just follow my top 15 things to do to shorten your museum visit. 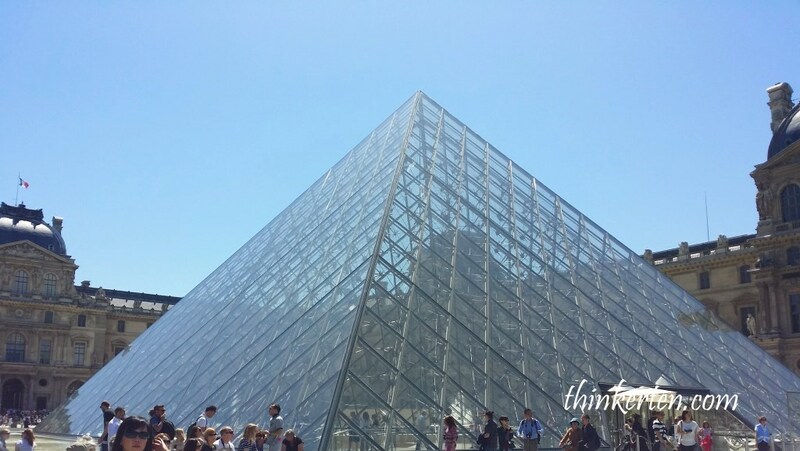 Glass pyramid built in 1989 has become one of the iconic site in Lourve Museum. It was designed by Chinese-American architect I.M. 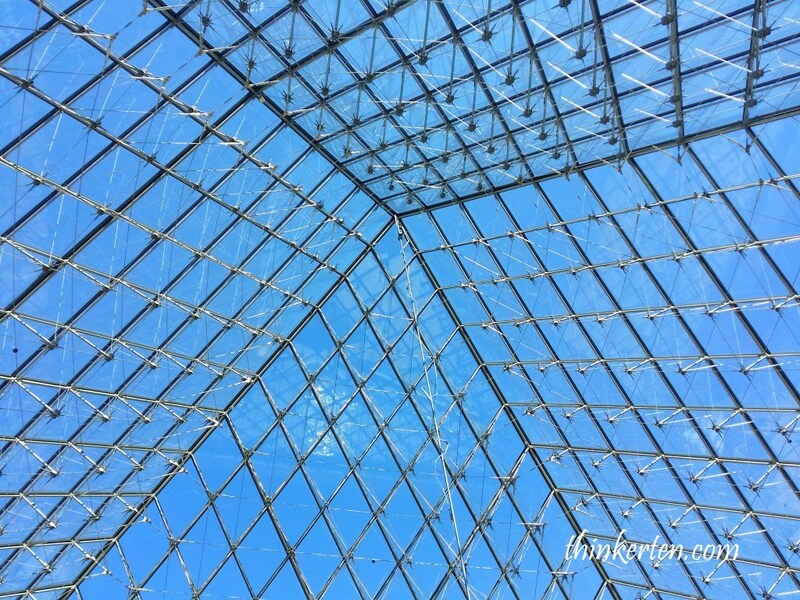 Pei, the glass pyramid is placed at the main courtyard of The Lourve. Some people say it destroy the original look but some do love it. Can you spot me standing in front of the Glass Pyramid? I find it weird to have the glass pyramid there. May be it take more times for people to get use to it. 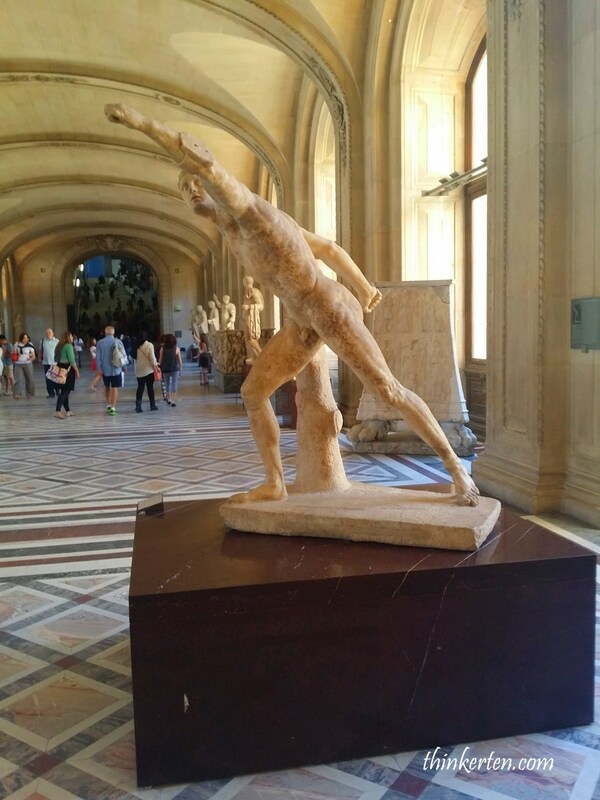 In this sculpture corners, you will discover many naked sculptures! The sculptures were in beautiful white marbles. Each sculpture tell a story behind it, you can listen to the audio guide to explain to you in details if you are interested. It takes hours just to look at these beautiful sculptures. 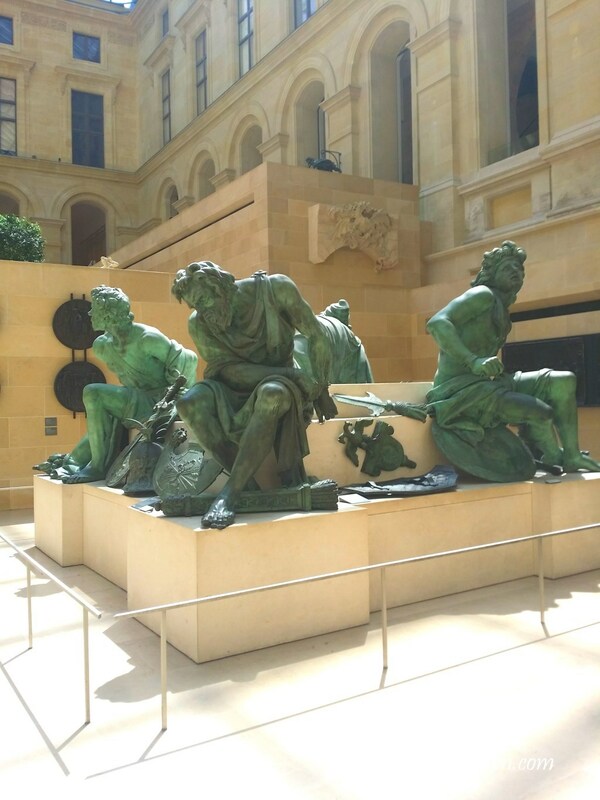 Have you wonder why most of the sculptures are naked? 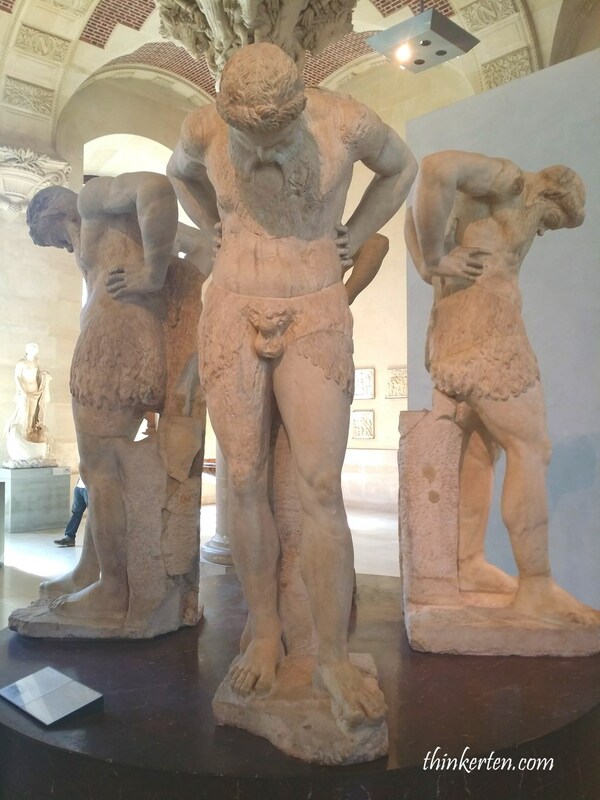 This is because the Greeks see nakedness as a heroic state, moral virtue among the social elite of male citizens. 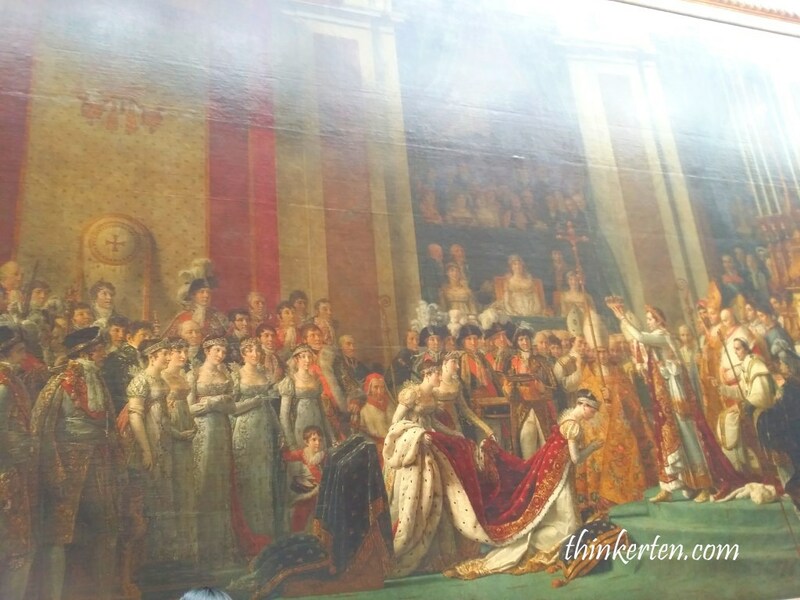 This is a historical painting that mark the Coronation of Napoleon by Jacques-Louis David. This is also considered one of the “must look for” painting in Lourve Museum, this painting is so huge and I am sure you will not missed out. 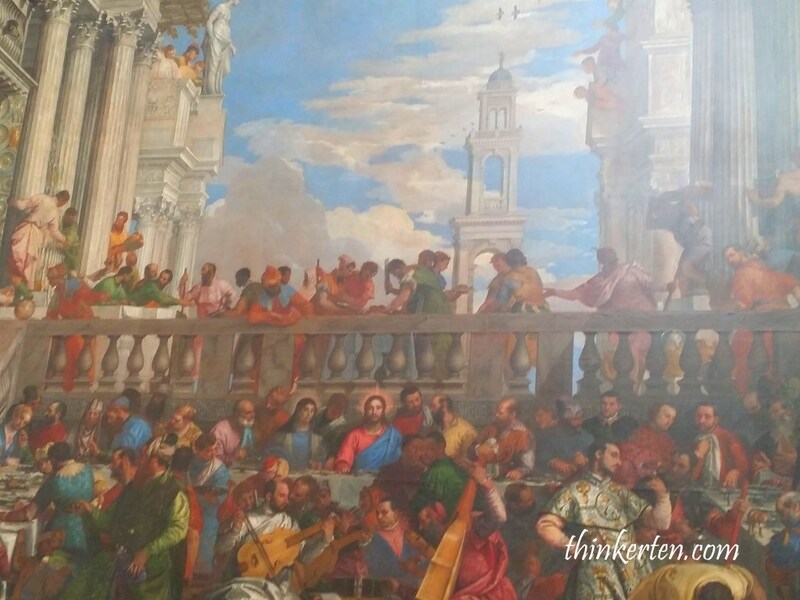 It is so huge that it has an enormous six-meter by ten-meter canvas which cover the whole wall. 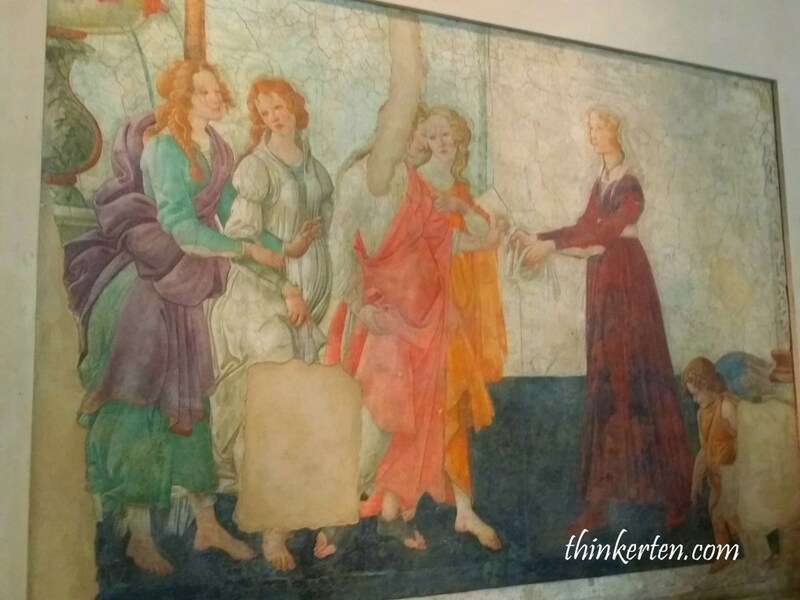 This is the highlight I suppose, many tourists would rushed to see this piece of arts by Italian artist Leonardo da Vinci. When you reached the area, you have to be patient! Line up to get up close, there do have some security guards there to look after the crazy crowds. However you may get disappointed as the painting is quite small and old and may not live up to your standard. I actually heard a lot of disappointment comments around me while I was there. 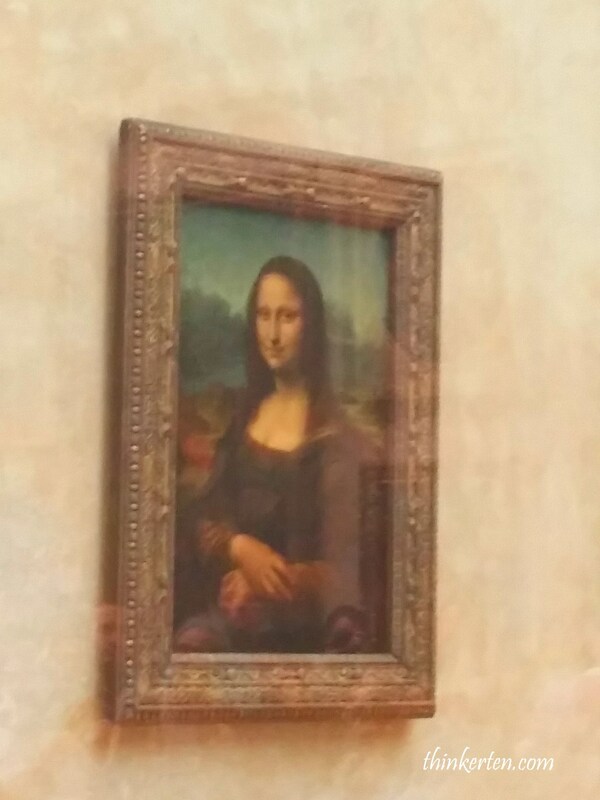 Picture taken was not very clear because there is another layer of glass to protect this precious painting. The glass is bullet proof and the painting is safeguard under climate control temperature! 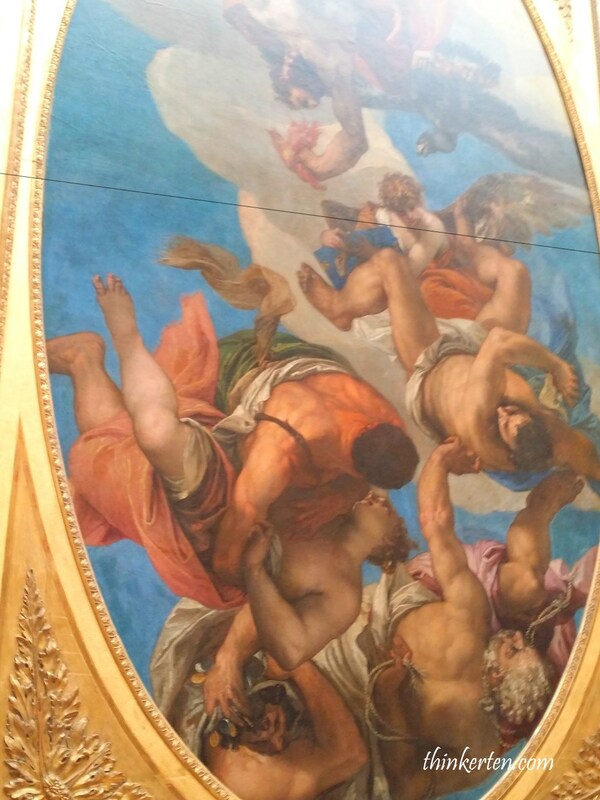 Don’t forget to look up to the ceiling as there are plenty of beautiful paintings there! It can caused quite a pain after looking upward for a period of time. 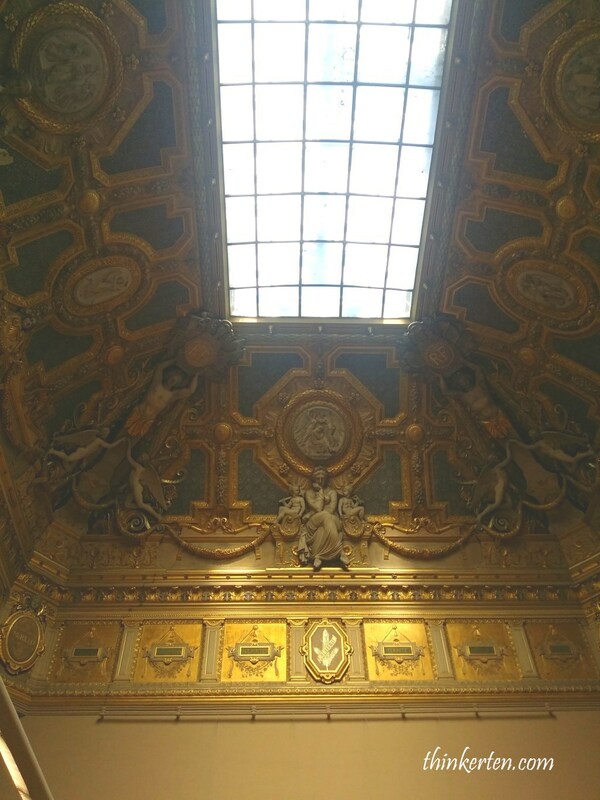 The Louvre contains about 7,500 paintings, of which about 66 percent are by French artists. 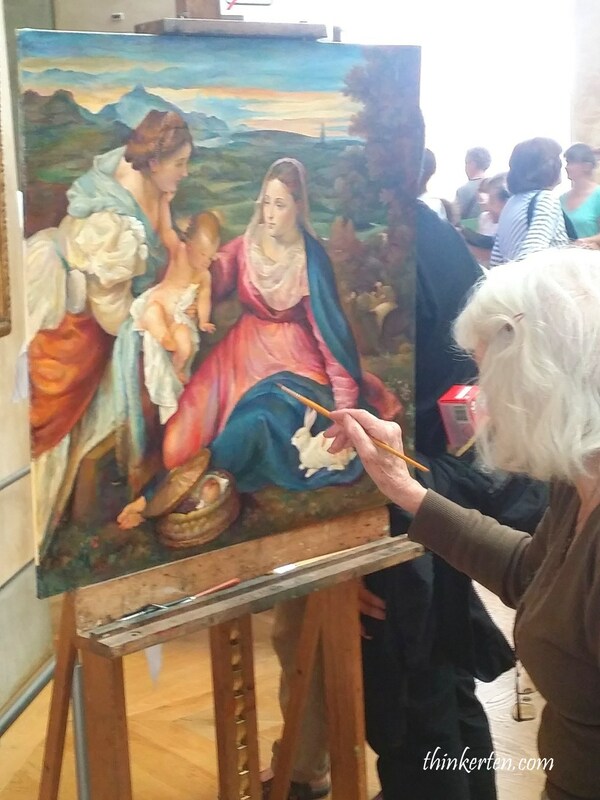 Spotted few artists set up their drawing block and sketching and painting in The Lourve. Some ceiling ware not paintings but decorated with beautiful art carved, very intricate and details work done long time ago. After entering this section, I knew I has reached my limit! I was going to explode anytime soon. I mean my eyes @@ gone like this ! It has really awesome collection but I never seen so many pictures in a day like this in my life! My vision has gotten blurred and dizzy. I needed a break. 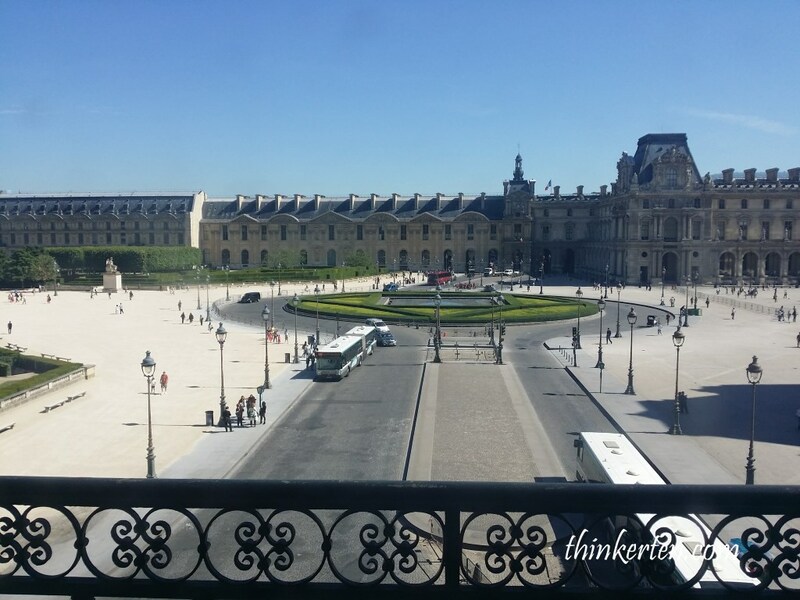 The Lourve was not originally a museum, it was a fortress that was built in 1190. Then it turned from a fortress into a royal palace in the 16th century. It was only in 1793, it became a museum and opened to public. 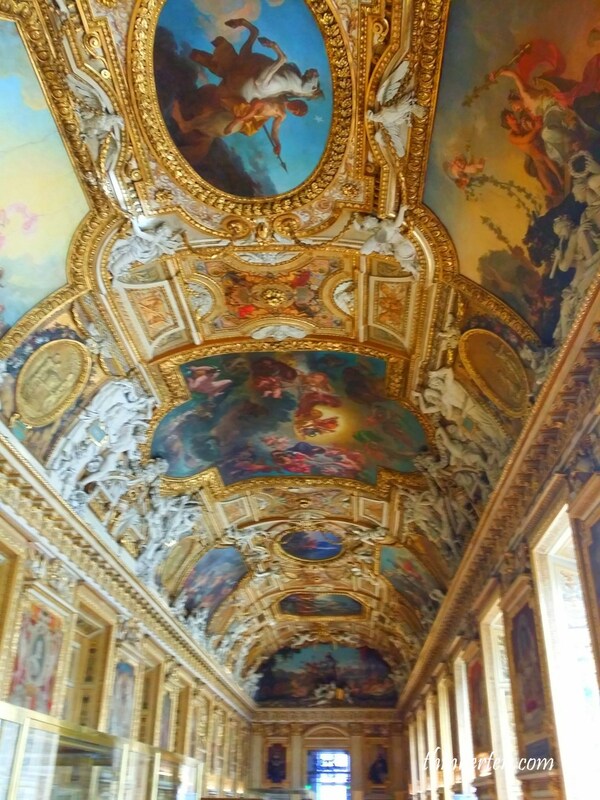 The royal palace was moved to Palace of Versailles. 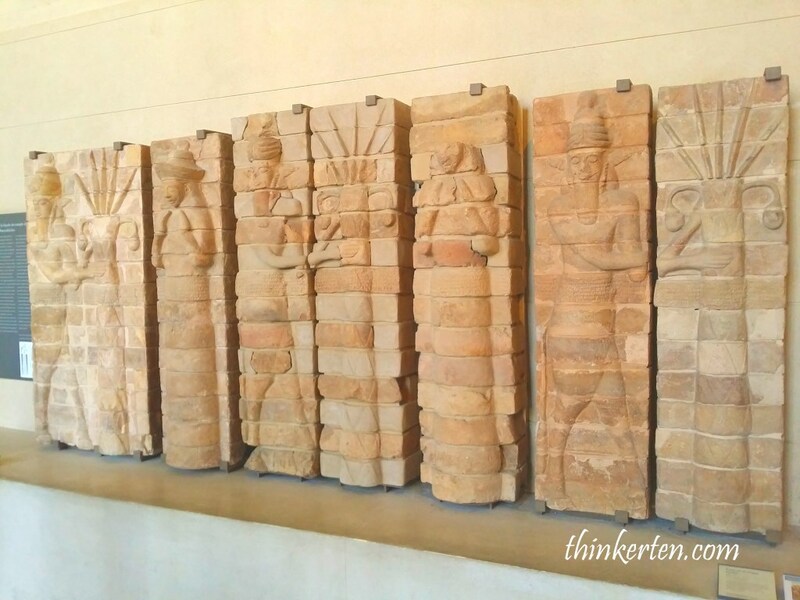 I cannot remember all of the statues but like the Four Captives is one of the important one you will want to have a second look. The Four Captives also known as the Four Defeated. In these sculptures, you will notice the men in the sculptures representing different age group from young to elderly. All represents different countries, Spain, Roman Empire, Brandenburg (Germany) and Holland, all defeated in the Franco-Dutch War. The young one look very handsome! 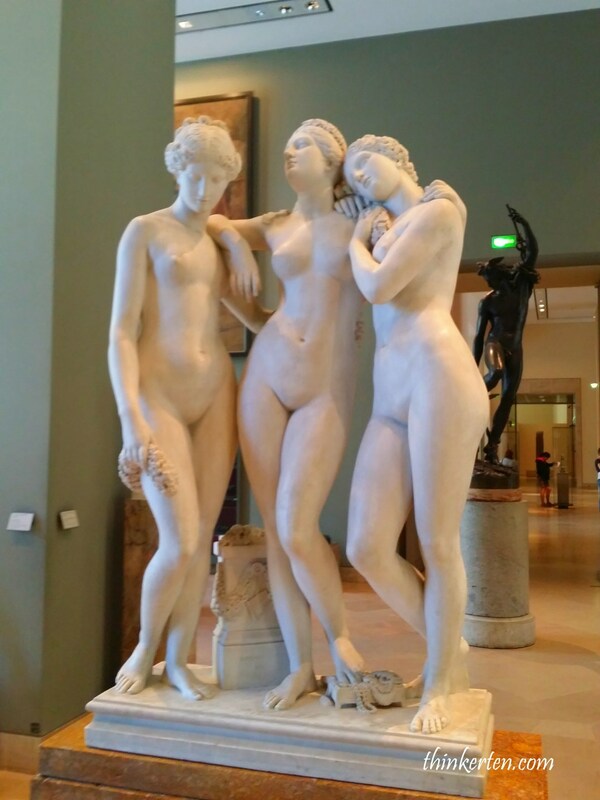 The Three Graces is a sculpture of the mythological three charites, daughters of Zeus – identified on some engravings of the statue as Euphrosyne, Aglaea and Thalia – who were said to represent beauty, charm and joy. 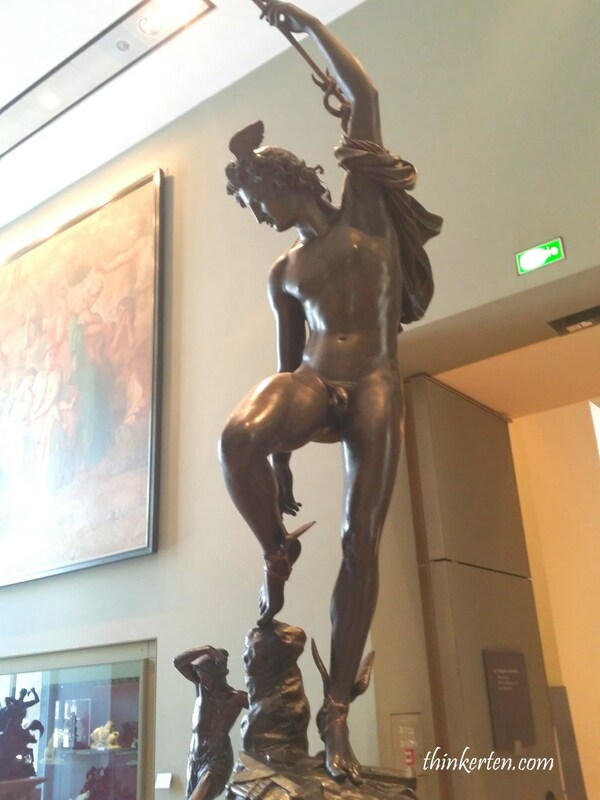 Mercury preparing to fly back to Mount Olympus after cutting off Argus’s head. These days women heels with winged are in fashion. Now I know where they gotten the inspiration from. 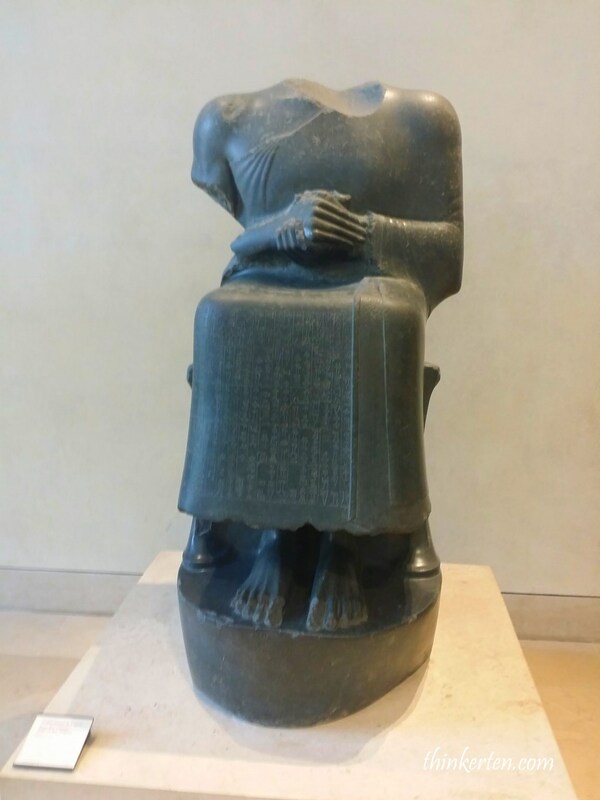 Gudea was a ruler of the state of Lagash in Southern Mesopotamia who ruled 2144–2124 BC. It was said there are about 27 statues of Gudea found. 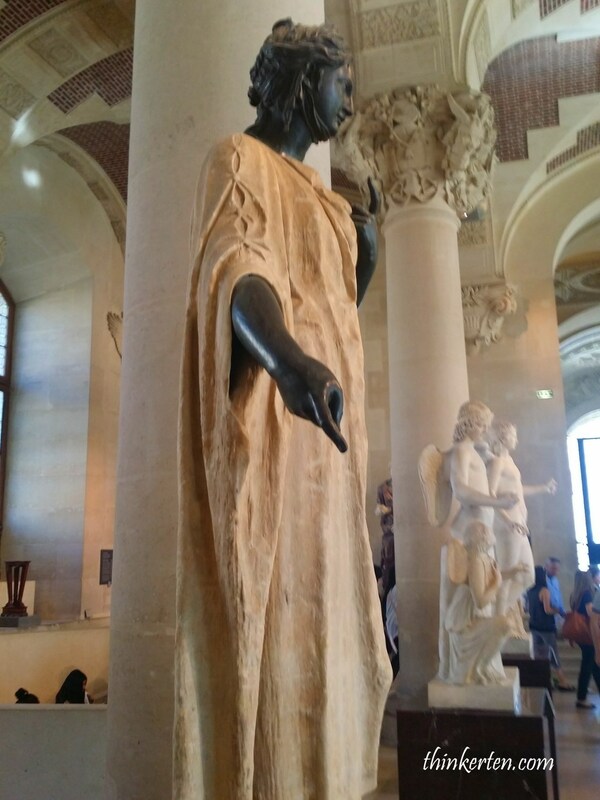 Observe the way he place his hands together, most of the statues are like so. I guess that is his signature pose. 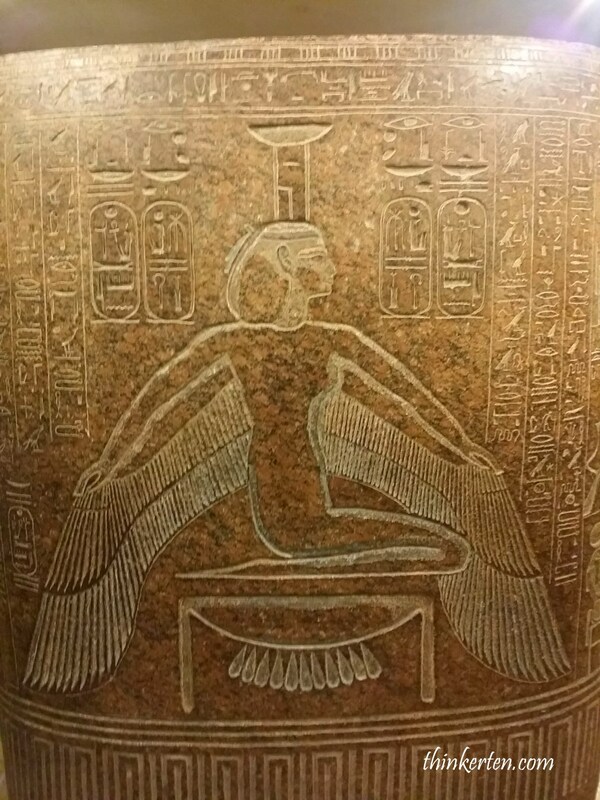 Inscription can be seen on the statue. 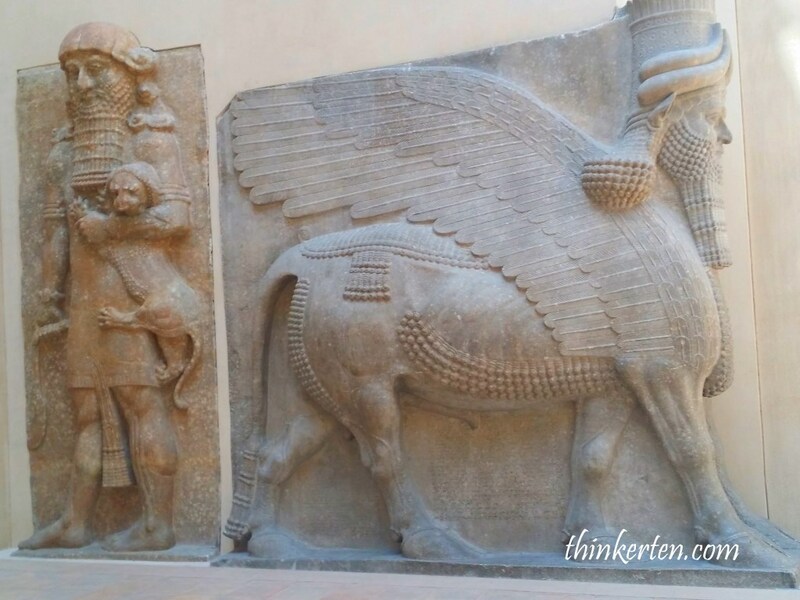 In art, lamassu were depicted as hybrids, winged bulls with the head of a human male. 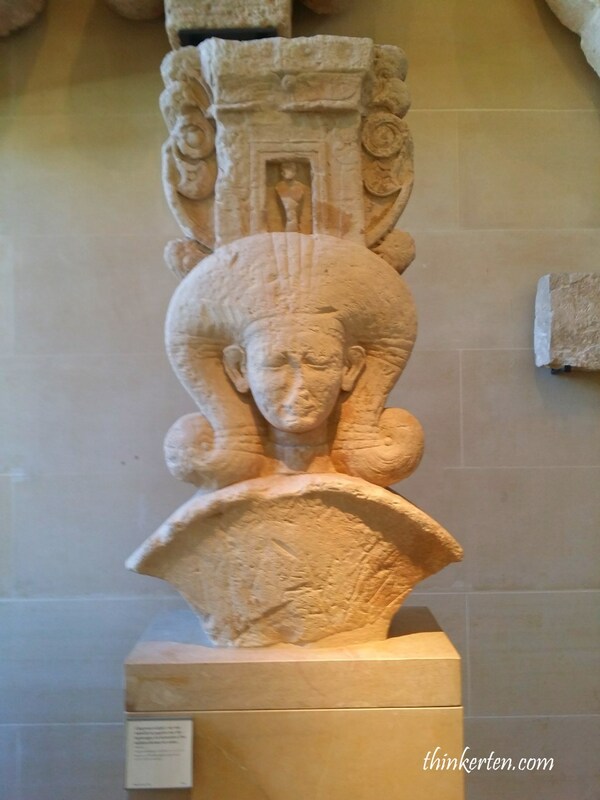 This kind of sculpture normally placed prominent pairs at the entrances in palaces as Assyrian protective deity. 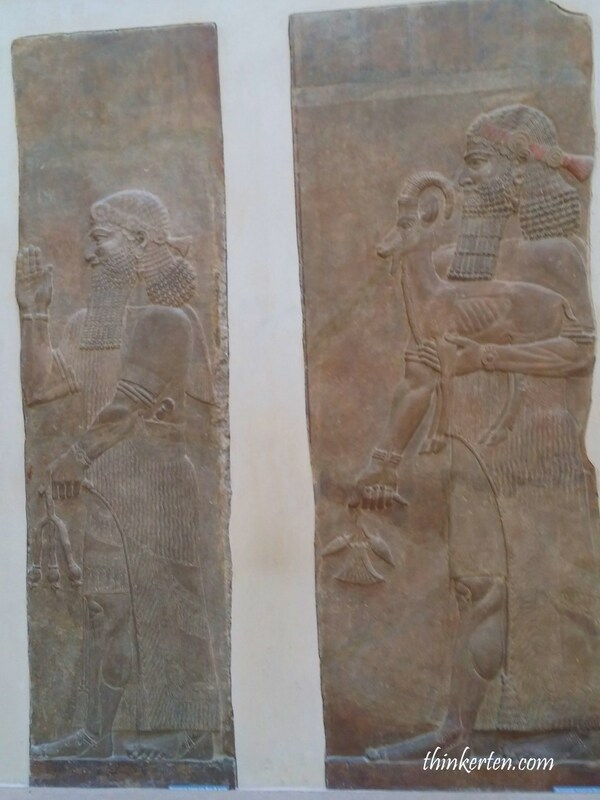 Assyrian often refer to ancient middle east – modern northern Iraq, northeastern Syria, southeastern Turkey and the northwestern fringes of Iran. 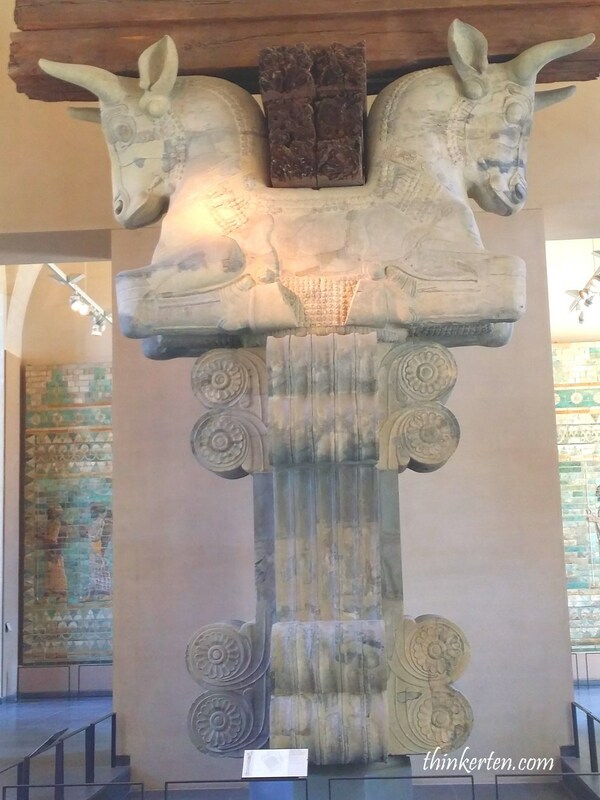 The Lamassu statues are quite large placed at Lourve Museum. 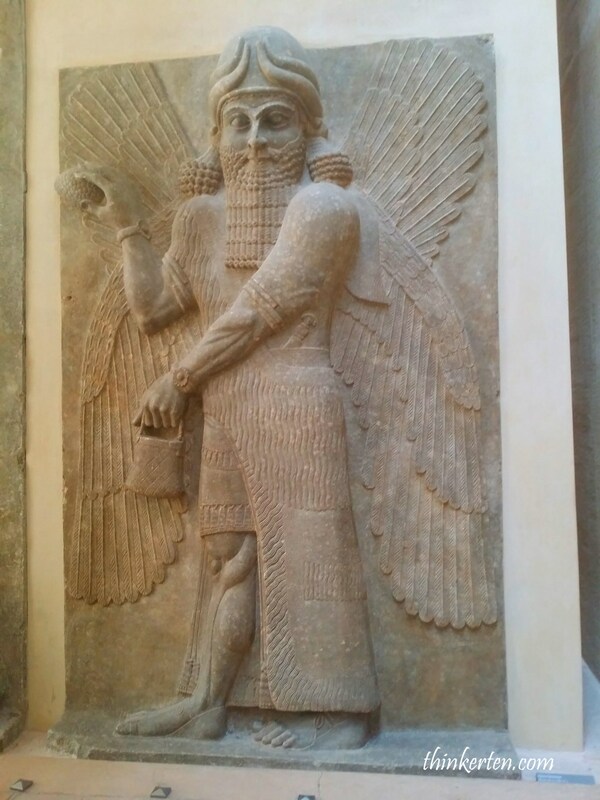 Winged genies are usually bearded male figures sporting birds’ wings. 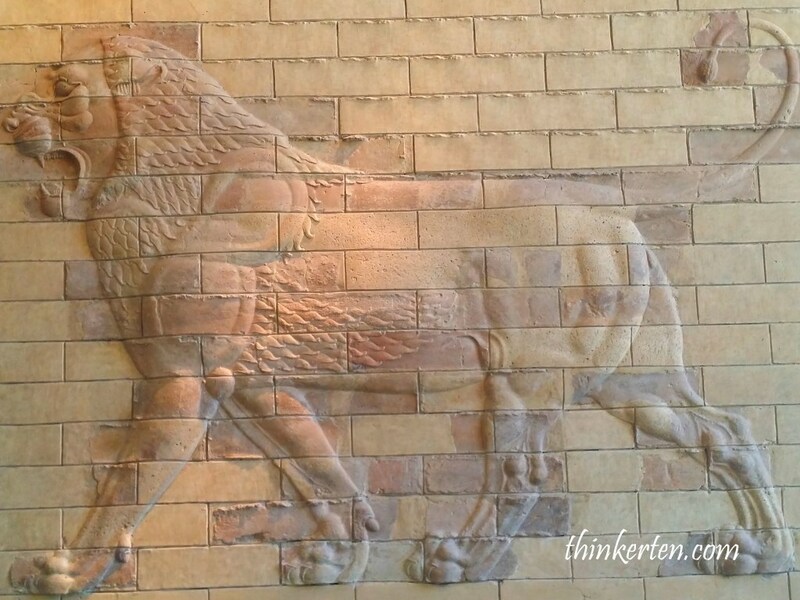 This is also famous Assyrian sculpture. They usually appear in the walls and throughout the temples and palaces. Their special characteristic are winged figures wearing a horned helmet and yes don’t forget the thick bearded face. 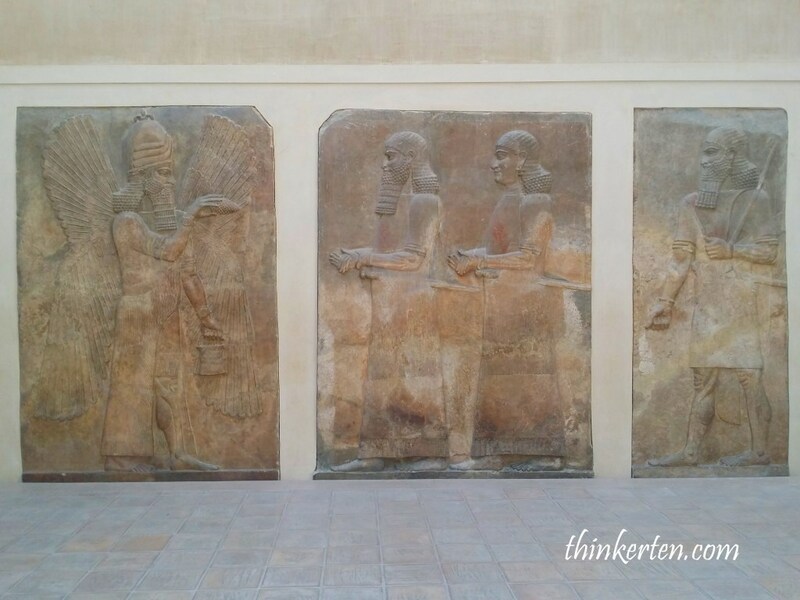 You will be surprised to see so many Persian artifacts, including historical walls housed in Lourve Museum. 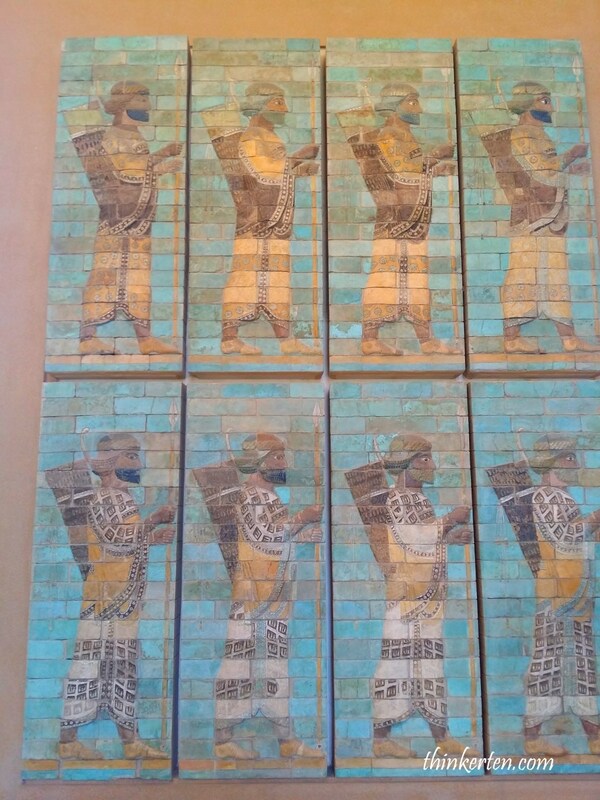 Some of the panels of polychrome glazed brick are from the palace of Darius I in Susa (present day Iran) built in the between 6th and 5th centuries BC. 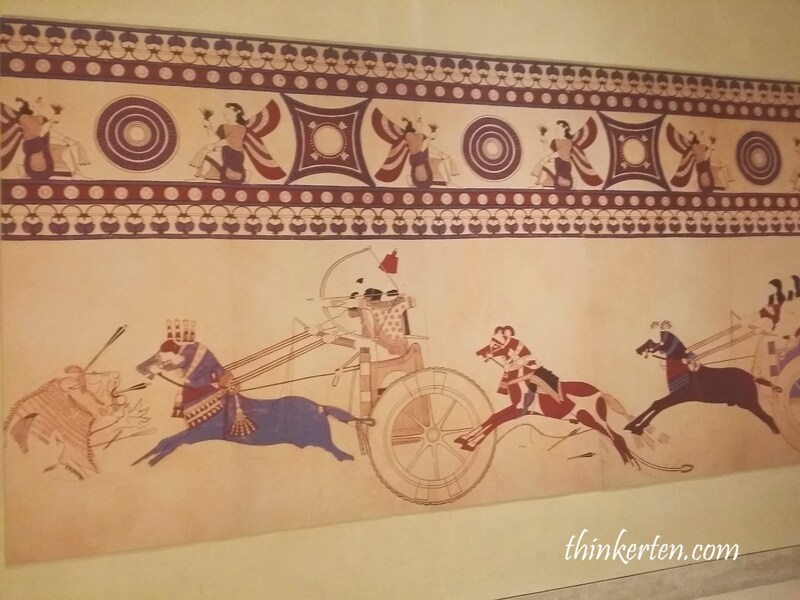 I saw a colorful piece at the British Museum. 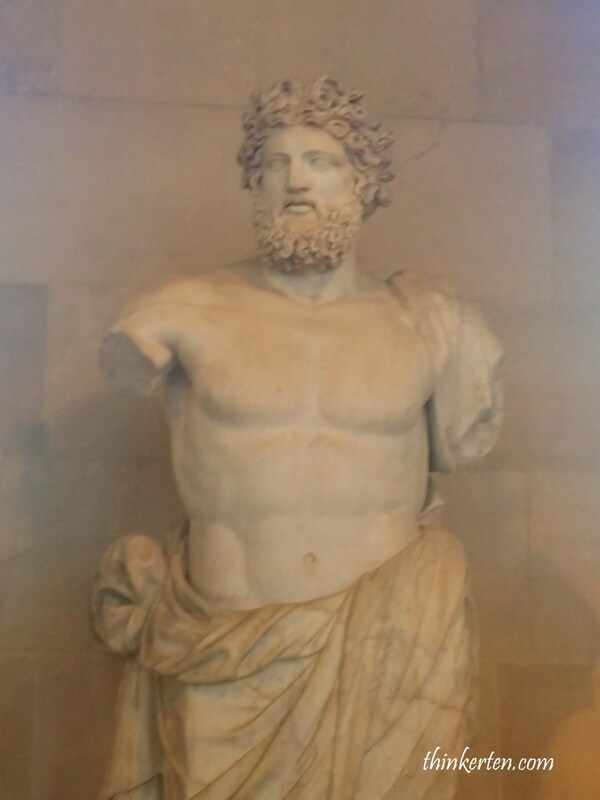 The one at The Lourve has no color. 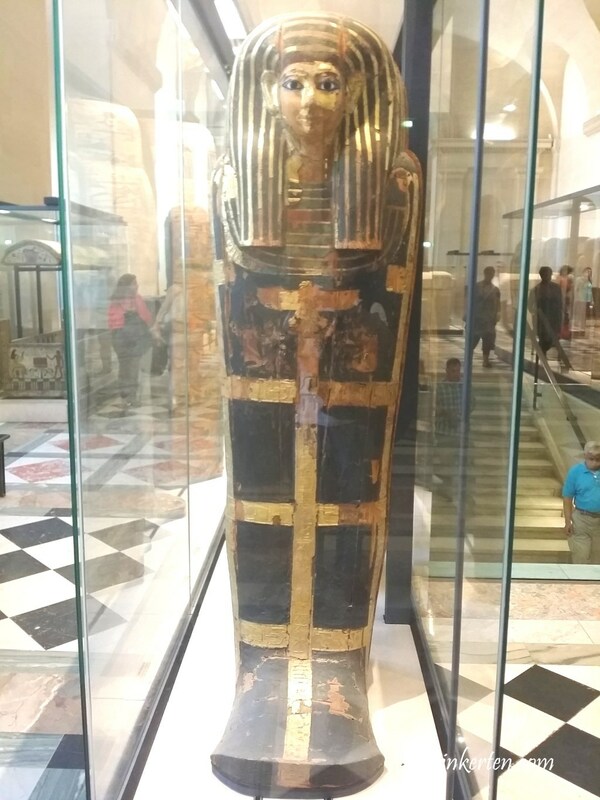 The Egyptian section in The Lourve is very big, it has about 50,000 pieces includes artifacts from the Nile civilizations which date from 4,000 BC to the 4th century. 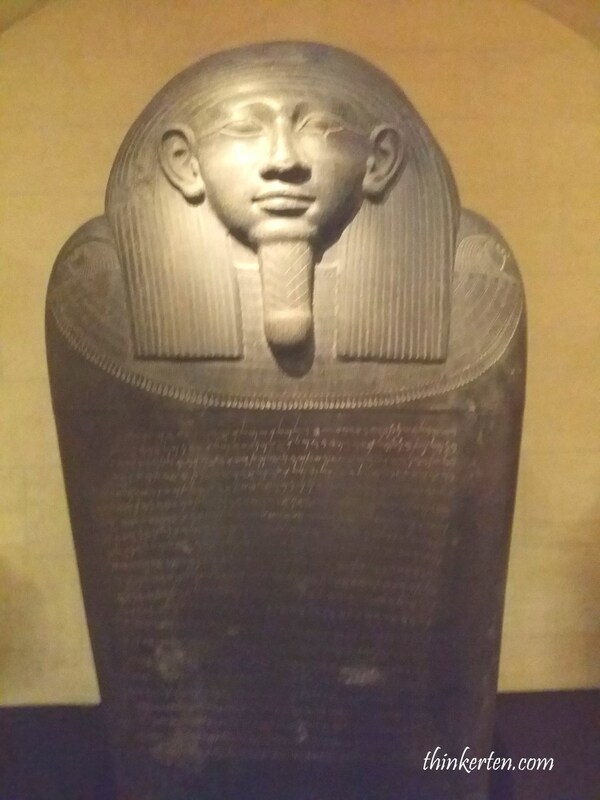 You will see this immediately if you enter the Egyptian section. A giant statue with King’s head and a body of a lion. 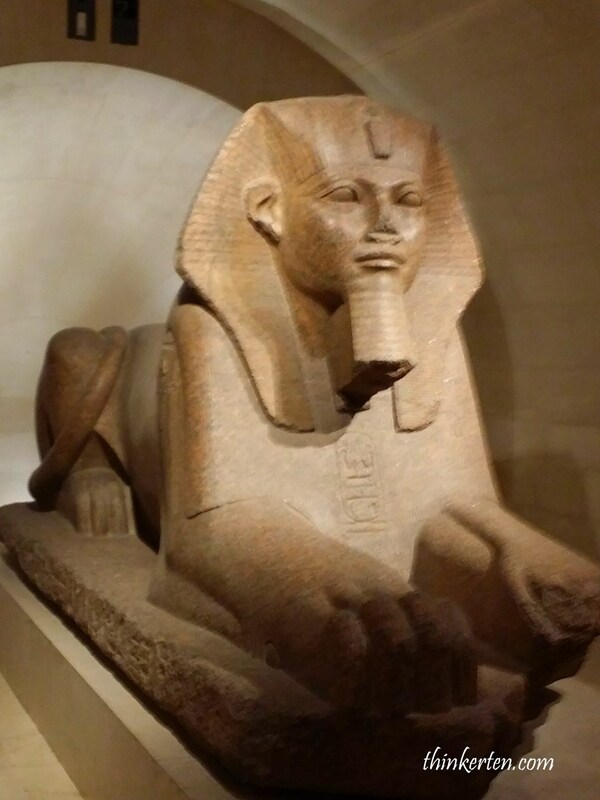 In Egypt the Sphinxes were used to protect temples and horizon. The ancient Egyptian writing also known as hieroglyphics (‘sacred carvings’). Thanks to Rosetta stones, all the codes were unlocked. Rosetta stones can be found in British Museum. 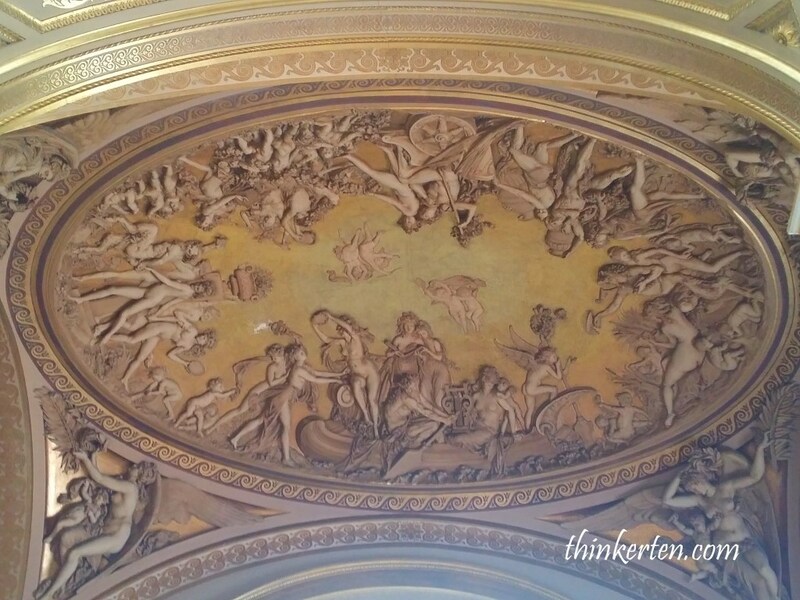 Top 15 things to do in Lourve Museum! Singapore Orchard Road – Ultimate Shoppers Paradise!